With its attractive tax breaks and automatic payroll deductions, a 401(k) can be a highly effective tool for building a nest egg that can support you throughout retirement—provided you use it correctly. And therein lies the rub: too many people engage in self-defeating behaviors that undermine their 401(k)’s potential. To get as much as possible out of your plan, be sure to avoid these four common—and costly—mistakes. Mistake #1: Skimping on contributions. Americans aren’t exactly knocking themselves out when it comes to contributing to 401(k)s. According to Vanguard’s “How America Saves: 2015” report, participants in the 401(k) plans Vanguard oversees contribute just under 7% of salary a year on average to their plan, while about 30% of those eligible for their plan don’t contribute at all. Generally, you should try to contribute at least 10% a year to your 401(k), preferably more. The difference between even 10% and the average of 7% can be substantial. For example, a 25-year-old who earns $40,000 a year receives 2% annual raises and contributes 7% of pay each year would accumulate a nest egg worth roughly $580,000 by age 65, assuming a 6% annual return after expenses. Boost that contribution rate to 10% a year, however, and the nest egg’s value jumps to almost $830,000. 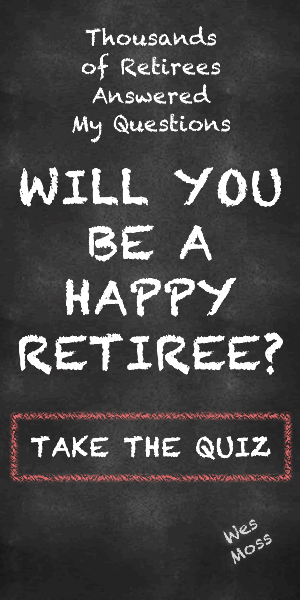 That extra $250,000 or so is enough to significantly improve one’s retirement lifestyle. One caveat: If your employer has automatically enrolled you in your 401(k) plan, there’s a good chance you’re not saving nearly enough, as the default savings rate in auto-enrollment programs is typically 3% or less. Mistake #2: Overpaying investment fees. If you don’t think high fees can seriously dilute the benefits of investing in a 401(k), consider this: A study of more than 3,000 401(k) plans last year by two law school professors found that in some cases fees were so high they could effectively erase the tax-deferral benefit of investing within a 401(k). Lofty fees can also seriously diminish the eventual size of your nest egg. Let’s say you’re 35 years old, earn $50,000 a year, receive 2% annual raises and you already have $50,000 saved for retirement. And let’s further assume that you save 10% of salary each year and that your investments earn 6.5% annually before expenses. If your investing costs run 1.5% a year, at age 65 you would have a nest egg worth approximately $644,000. But if you can reduce your investing expenses to 0.5% a year, your nest egg’s value at 65 would total just over $792,000. In short, without saving an extra cent out of income, you’d have almost an extra $150,000 to spend in retirement. Granted, there are some possible complications to this scenario. There’s no guarantee each dollar in lower expenses will translate to extra return (although a Morningstar report on fees shows that low-expense funds usually outperform their high-fee counterparts). And if your 401(k) plan lacks a decent lineup of low-cost investments, your ability to lower investing costs may be restricted. But the fact remains, to the extent you can avoid high-fee investments within (and outside) your 401(k) and stick to low-cost options such as index funds, ETFs or the commingled pools and institutional portfolios many plans offer, the higher your eventual account balance is likely to be. Mistake #3: Failing to maximize the employer match. There are no free lunches in the financial world, but employer matching funds—typically 3% or so of salary a year—come pretty damn close. Which is why 401(k) investors should make it a point to invest at least enough to take full advantage of whatever matching funds their employer kicks in. But many aren’t doing that: about a quarter of 401(k) participants don’t contribute enough to receive their full employer match. In a recent report, 401(k) advice firm Financial Engines estimated that in 2014 alone participants left an average of $1,336, or 2.4% of pay, in unclaimed matching funds on the table. Over 2o years, that translates to nearly $43,000 in forfeited matching funds and potential investment earnings. Nationwide, Financial Engines estimates that Americans are foregoing some $24 billion in matching contributions every year. It’s already hard enough to save for retirement. Forfeiting additional savings to the tune of 2% or more of salary each year makes building an adequate nest egg unnecessarily tougher. Mistake #4: Investing with your gut instead of your head. Given recent gyrations in the market, it’s understandable that some investors may feel the urge to protect their 401(k) savings by avoiding stocks and huddling in less volatile investments like stable-value funds, money-market funds and bonds. Problem is, investments aren’t likely to deliver the long-term returns most people need to build a decent nest egg. On the other hand, tilting your mix too much toward stocks can leave your 401(k) account vulnerable to devastating losses in a severe market setback. For example, an EBRI study showed that nearly 25% of 401(k) participants 56 to 65 years of age had more than 90% of their account balances in equities just prior to the 2008 financial crisis, a period during which stock prices dropped by nearly 60%. The “Goldilocks” approach is a better way to go—that is, create a stocks-bonds mix in your 401(k) that’s neither too conservative nor too aggressive for your risk tolerance, age and financial goals, and then leave it alone, except to rebalance periodically. You can build such a portfolio by completing an asset allocation-risk tolerance test (like Vanguard’s free 11-question version). If you’re not comfortable creating an investing strategy on your own, you can go with a target-date fund, which offers a mix of stocks and bonds that gradually becomes more conservative as you age; take advantage of managed-account or advice services, if your plan offers them; or go to a financial pro for help. The important thing, though, is to settle on an investing strategy that makes sense for you and stick to it, no matter how scary or appealing the market may look. Walter Updegrave is the editor of RealDealRetirement.com. If you have a question on retirement or investing that you would like Walter to answer online, send it to him at walter@realdealretirement.com. You can tweet Walter at @RealDealRetire. See the original article and more here.